Provide comfort for the family of Judy Temple with a meaningful gesture of sympathy. 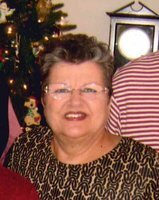 Judy C. Temple, 75, of Palatka, FL passed away peacefully on Monday, January 21, 2019 after a long illness. Born in Meridian, MS she resided in Palatka since 1975 moving here from New Orleans to be closer to her family. After moving to Palatka, she worked for Georgia Pacific/Hudson Pulp & Paper until the late 1980’s when she retired. Judy was active at St. Mark’s Episcopal Church. She was a member of Daughter’s of the King, sang in the choir and was active in Cursillo. She was a loving, giving person to her family and friends. She and her sister, Margaret were inseparable. You rarely saw one without the other. She loved her family to the moon and back and will be greatly missed. Judy was preceded in death by her parents, George Temple and Clevie Churchill, her nephews, Jonathan Toland and Stewart Temple and niece, Temple Toland. She is survived by her husband, Jim Herring, sister, Margaret Toland (Don), niece and caretaker, Khristi Toland all of Palatka. Also, great nieces, Samantha Harvey (R.J.) of Boulder, CO and Natalie Toland of St. Augustine, nephews, Zachary Rodgers (Victoria) of Broomfield, CO and Nicholas Toland of St. Augustine, step-brothers, Ronnie Churchill (Irma) of the Villages and Donnie Churchill of Slidell, LA and half-brother, Stewart Temple. A memorial service for immediate family only will be held at St. Mark’s Episcopal Church in Palatka with Father Bob Marsh officiating. In lieu of flowers the family requests memorial donations in Judy’s name to be sent to St. Mark’s Episcopal Church, 211 Madison St., Palatka, FL 32177. Memories and condolences may be expressed to the family at Judy’s Book of Memories page at www.johnsonoverturffunerals.com. Arrangements are under the direction of Johnson-Overturf Funeral Home in Palatka. To send flowers in memory of Judy Carolyn Temple, please visit our Heartfelt Sympathies Store. We encourage you to share your most beloved memories of Judy here, so that the family and other loved ones can always see it. You can upload cherished photographs, or share your favorite stories, and can even comment on those shared by others. Provide comfort for the family of Judy Carolyn Temple by sending flowers.